Picture this: You’re looking at a list of budget beach destinations for your next summer vacation. You read through the article—fully engaged and excited—and the next thing you know you’re browsing through an online catalog of the best hair products to bring with you on your trip. Impressive stuff, right? That’s branded content for you. If you’ve ever come across a useful article that has somehow led you to a product or service relevant to your interests—then this probably means one thing: You’ve been successfully targeted by an effective stream of sponsored content put out by publishers such as news sites, online lifestyle magazines and even bloggers. It’s no secret that brands are increasingly redirecting their marketing budgets towards a great sponsored content strategy—and this is because sponsored content really works. 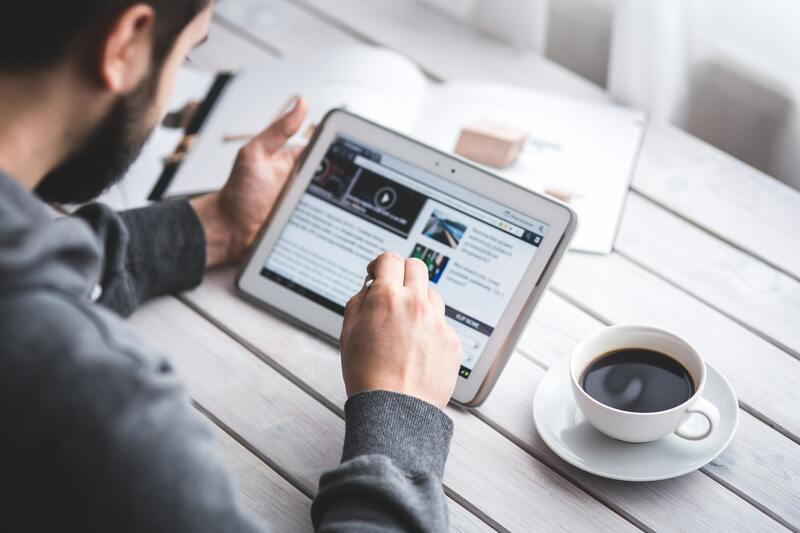 This type of content usually comes in a form that is interesting, engaging, and valuable to its viewers or readers—so while it IS still advertising, sponsored content doesn’t cause ad fatigue. So what exactly is sponsored content and how can you leverage it to reach your brand goals? Sponsored content is a form of native advertising put out by partner publishers or influencers on behalf of a brand. It is co-created to appear like the regular content that these partners produce—be it an article, infographic, photo, or video. Sponsored content includes influencer marketing. When done by publishers, this is called branded content. Branded content is ideal for marketing campaigns with the goal of communicating more than one message, and research has found that it works significantly better than traditional ads. Brands benefit from “a publisher’s voice, credibility, distinct personality,” Coconuts Media branded content manager Tara Chanapai said. A study by Nielsen also found that brand recall was 86% for branded content, and only 65% for regular ads. Informational articles effectively target important market segments by educating them and presenting ways to solve a specific problem within their demographic. They pose great opportunities for brands to present their products or services as part of the solution. Bear Brand Adult Plus did this when they targeted the millennial market by addressing a perceived tendency among young working adults to be unproductive in the workplace. 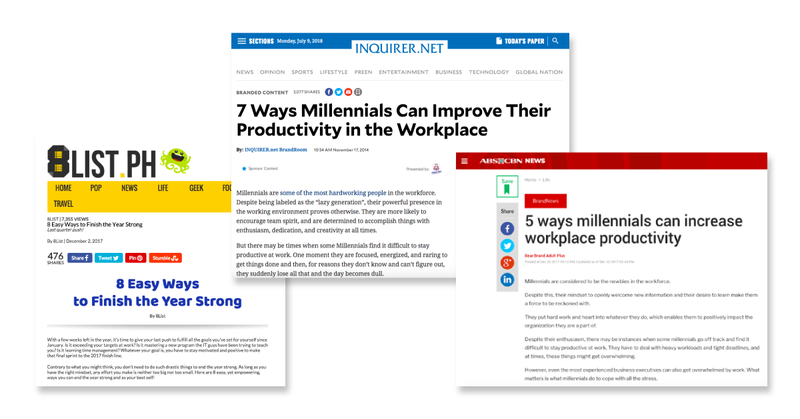 To achieve this, we connected the brand with partner publishers such as Inquirer.net and ABS-CBN News (which are reputable sources of information amongst the working millennial crowd) to publish valuable content that can help working millennials increase productivity in the workplace. By educating the market about the health benefits of B Vitamins and Vitamin C in the context of workplace productivity, and why young working adults need them to excel at work, the campaign was able to achieve 482% of the targeted views with over 1.7 million people reading the articles. Product reviews and tutorials have the potential to strengthen consumer trust by presenting a more realistic image of your brand. These types of branded content don’t over promise, and therefore don’t come across as too hard-sell. At GetCraft, we have found that the best way to go about this is to work with content creators who are already considered experts in your field. 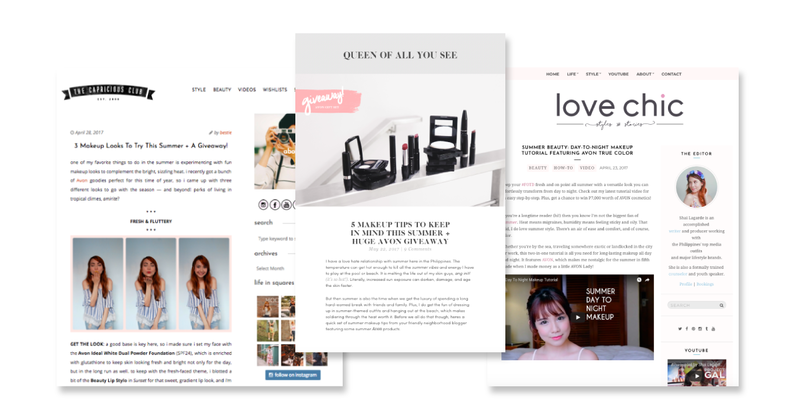 A great example for this is Avon’s Summer Essentials campaign, in which we tapped four of the most influential beauty bloggers from our network to create product reviews and tutorials to promote the brand’s summer makeup line. The campaign exceeded its target views by 150%, and was successful at building hype around the products the summer it was launched. It’s quite easy to understand why motivational or inspirational content works regardless of what your brand is trying to sell. Most people are drawn to ideas that make them feel good, and if you associate your brand with content that communicates such ideas and include this in your sponsored content strategy, then people will most likely feel good about your brand as well. 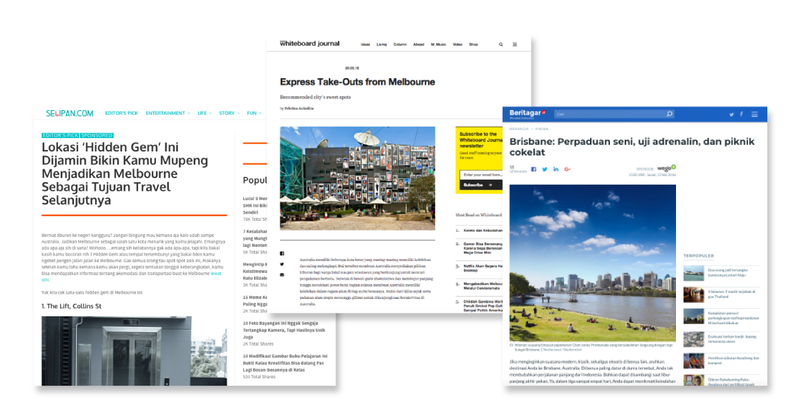 The travel category is such a landmine of inspirational content, and we helped Wego (in collaboration with Tourism Australia) take advantage of this by publishing articles that inspired Indonesians to visit Australia during the Ramadan Holidays. With 125+ bespoke interlinked articles on 25 travel and major publications over a 6-month period, the campaign was able to generate 1.3 M content views and 300,000 likes & clicks. These are only a few examples of how branded content can help increase awareness for your brand and drive traffic to your website. Incorporate these in your brand’s sponsored content strategy and you may be surprised with the results!